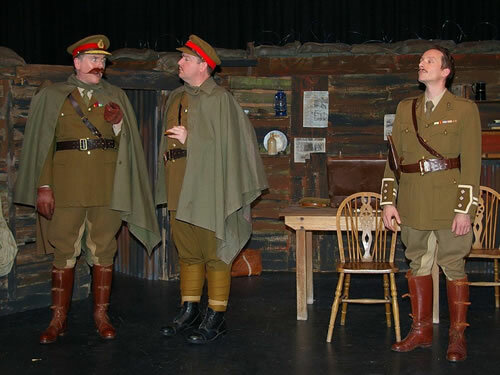 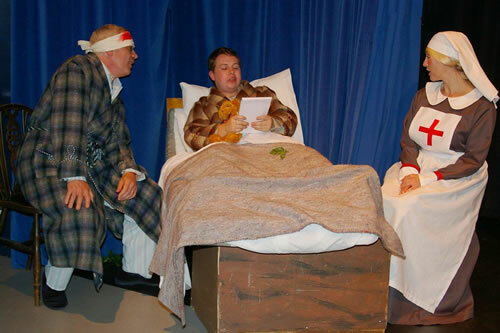 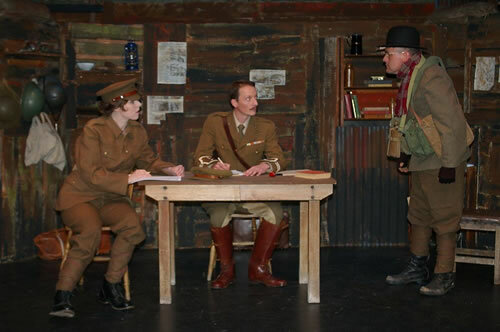 The BoningtonPlayers present three episodes of the classic BBC comedy series and chosen as a tribute to commemorate the centenary of World War One. 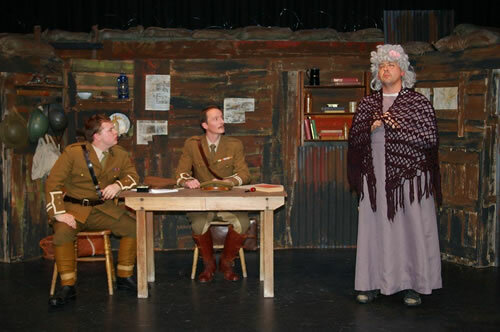 ‘Blackadder Goes Forth’ is set in 1917 on the Western Front. 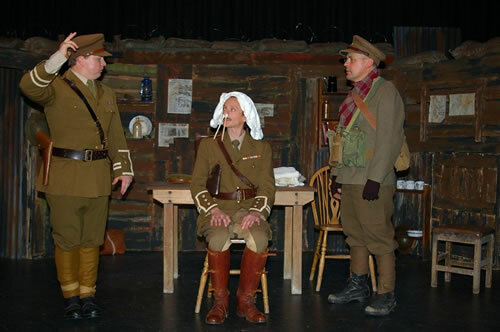 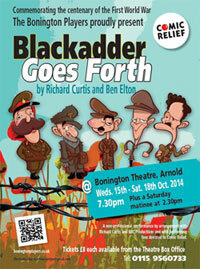 Our reluctant hero,Captain Edmund Blackadder finds himself trapped in the trenches, with his companions, the gallant-but-dumb Lieutenant George St. Barleigh and the even dumber Private Baldrick, counting down the hours to yet another disastrous ‘big push’. 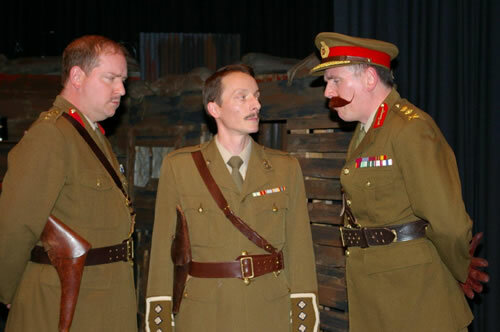 His concern is to avoid being sent over the top to certain death, by the patently insane General Melchett, and he attempts to escape his fate through various schemes and plans. 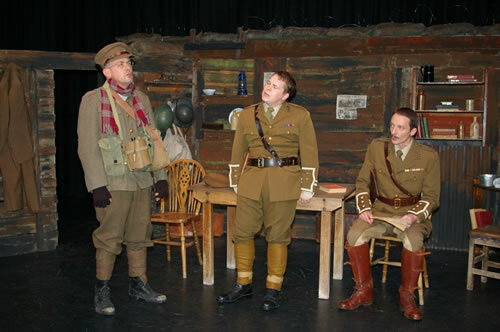 Most of these fail due to bad fortune, misunderstandings, and the general incompetence of his comrades. 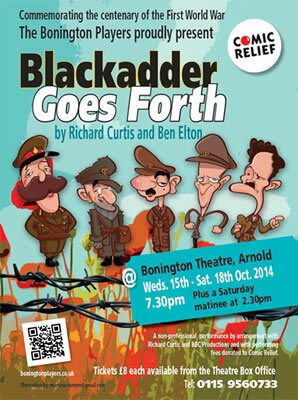 Can he come up with a cunning plan in time to escape the madness?